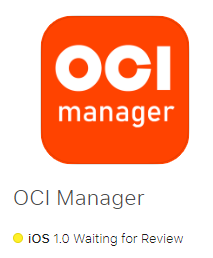 Well it took a few late nights of nerding, but I finished version 1 of my OCI Management App for the iPhone 🙂 Below you can see a preview video. The app allows you to have a consolidated overview of all your instances in a department (VMs, Bare Metal, DB, ADW and ATP) across all regions! You can control in the app which regions should all be visible. Besides seeing you instances, you can do some basic operations on them. Very cool… can’t wait to try it myself. Hopefully moving forward fast with that! Well done! Fantastic, when will it be available for android? Sorry i am not an android person. I will open source my app, so someone else might be able to re write it to android. Hi, I have it installed but having an issue with the connection. Any debug logs or ideas on why it won’t connect. The most common mistake is people not entering their tenant OCID and user OCID or using a wrong key file. Can you send me screenshot of your settings screen. Great app! Thank you very much! Great App ! Can the authentication to OCI tenancy also possible using IDCS accounts ? Good question, not use IDCS users have API access. Will look into it. Thanks you so much, it is very helpful for me and I have installed it in my phone and it works good. I think that is a bug from my side. I will fix it in the next release. Great App ! Thank you so much. I found that this App could scale up / down on the DBaaS service, but cound’t start / stop it (Can’t push buttom). Is it the specification ? or my issue? Hi Hiro, This is no issue from your side. Unfortunately today the DB instances doe not support the start/stop feature. already probe the data in oci-cli and they work. Can you send me screen shot of the setup screen? Cool app. I’m giving it a try, though I can’t seem to get it to connect. Most common reason is wrong key. Did you try the key using the OCI CLI? How did you create the key? I installed the OCI CLI on my Windows 10 laptop, then ran the ‘oci setup config’ command and generated the private and public keys. I then added the public key to my user in my tenancy, and pasted the resulting fingerprint, as well as the private key, into the app. You do not need the public key, that key is added in the OCI portal to your account. In the app you need the Private key. I just open this key file up with notepad and then copy and paste it into an email I send to myself. Then on my phone I can just copy the message body into the key field. Please make sure you are using a Private key WITHOUT keyprhase, as that is not supported by my application.